The Holocaust was a genocide on a scale never before seen, with as many as twelve million people killed in Nazi death camps - six million of them Jews. Gail Herman traces the rise of Hitler and the Nazis, whose rabid anti-Semitism led first to humiliating anti-Jewish laws, then to ghettos all over Eastern Europe. 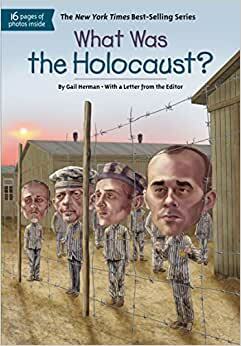 Start reading What Was the Holocaust? (What Was?) on your Kindle in under a minute. Gail Herman has written several young biographies for children, including Who Was Jackie Robinson?